This is Oliver. Oliver is a delicious chocolate Pit Bull. In the photo below, Oliver looks a little sad. That’s probably because his best friend isn’t with him. 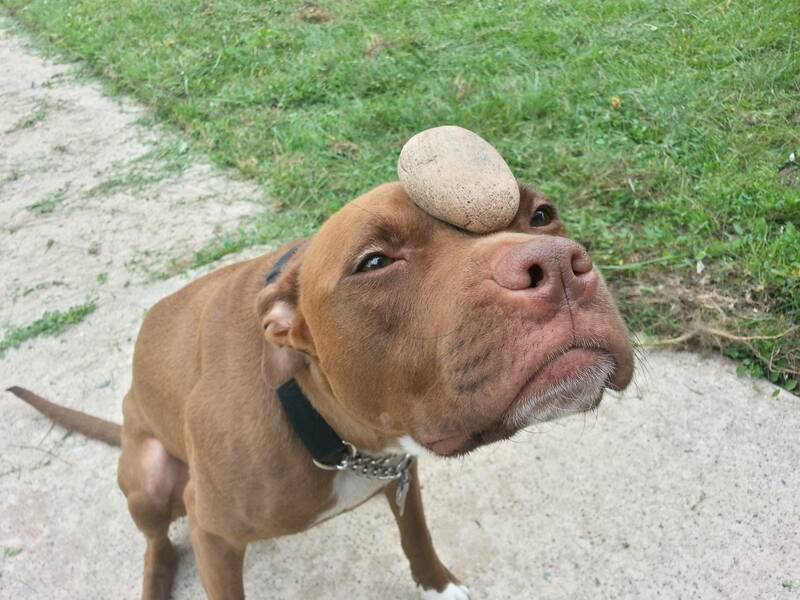 Oliver has an amazing dad (who runs a Facebook page promoting Bully awareness called Grand Rapids Bully Breeds) and two perfectly good fur siblings, but Oliver’s best friend is someone else—his pet rock. Before you jump to the conclusion that he simply has an interest in Geology, check out this video of Oliver picking his special rock out of a lineup. Oliver and Rocky (I took the liberty of giving it a name) first met on a fateful family camping trip and moved in together immediately. Since then, they have been inseparable. They go everywhere and share everything with one another. Their relationship may be a little unconventional, but Oliver doesn’t let it get him down. Love is blind, after all. One Reddit user suggested an Oliver and Rocky themed calendar featuring the pair cavorting through the seasons together. Fingers crossed that this dream becomes a reality! Want to see more of Oliver’s exploits? Visit Grand Rapids Bully Breeds on YouTube or Facebook.